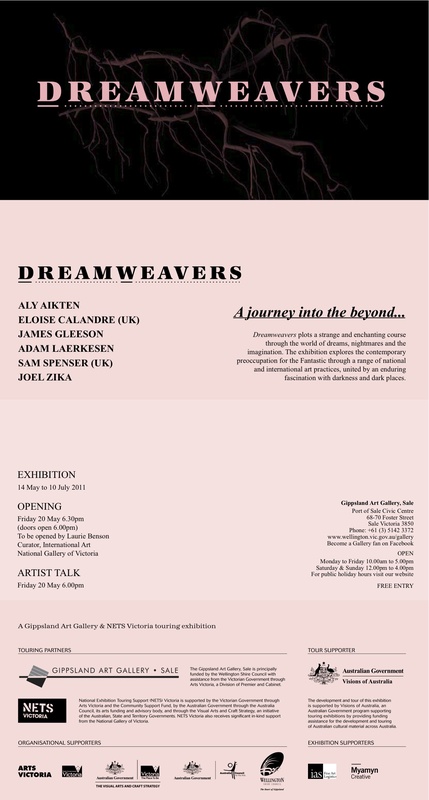 Dreamweavers’; a major group show Curated By Simon Gregg. I will be doing an artist talk prior to the opening, an amazing catalogue and poster have been produced and are available from the gallery. The show tours nationally over the Next two and a half years.